I recently purchased a presentable Shaq attaq with a couple of issues. 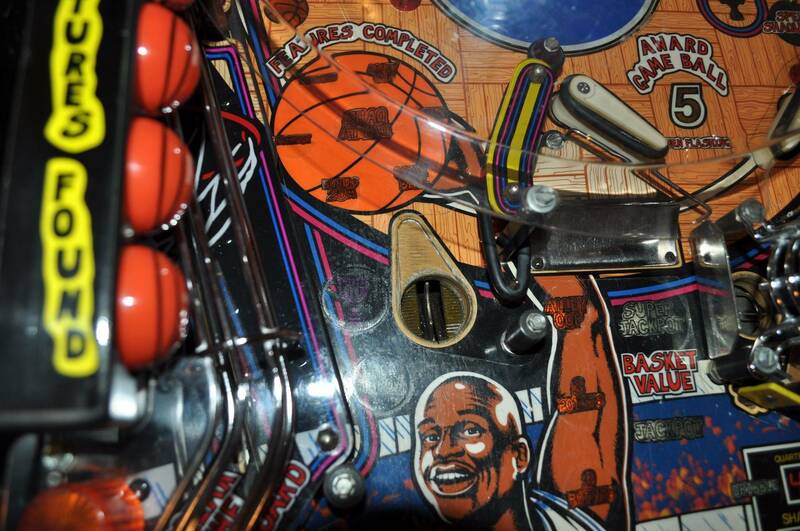 The first issue was the "break the backboard" mechanism. I was able to resolve it by creating the tension on the spring (easy fix). The other issue was with the drop targets. They would set when the game was over but drop when the game started. I noticed that the tiny wires connecting them had broken. I simply had to reapply some solder to them (another easy fix). Upon start up it goes right in to repeating "Shoot again". The balls on the right are not kicking to the lane and it is wanting to shoot again because the ball on the left is closing the switch and it thinks it was a quick drain (see the 2nd photo). If I remove that ball and put it in the shooter lane, everything seems to work normal accept for the kick out hole in photo one. 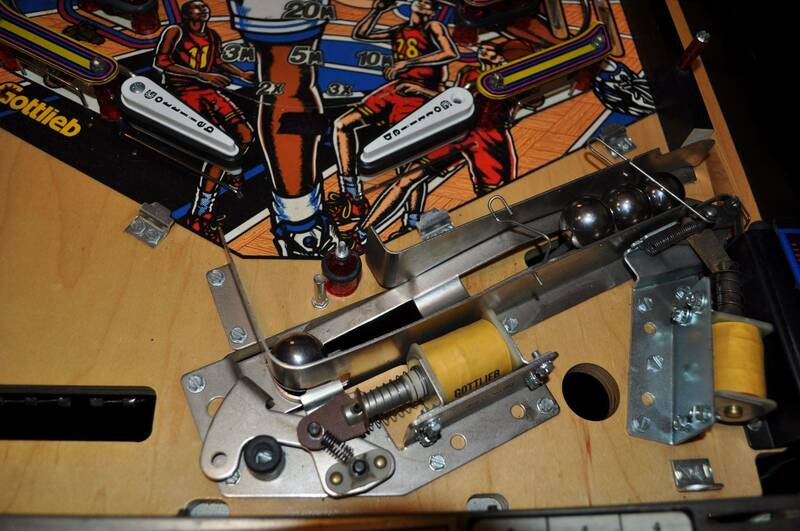 It recognizes the ball is in the hole but does not have enough power to trip the solenoid. It just keeps repeating a blunt sound but nothing happens. Other than that, everything else seems to function. I have checked the fuses (at least the ones that I think are associated with those functions). I have also conducted a switch test since I read that someone else has had that issue but they are all functioning correctly. The manual says it may be the driver board. Any ideas on how to track down the problem or suggestion for fixes without going right in to replacing the entire board? Any help or ideas provided is greatly appreciated.